Well its that time again. 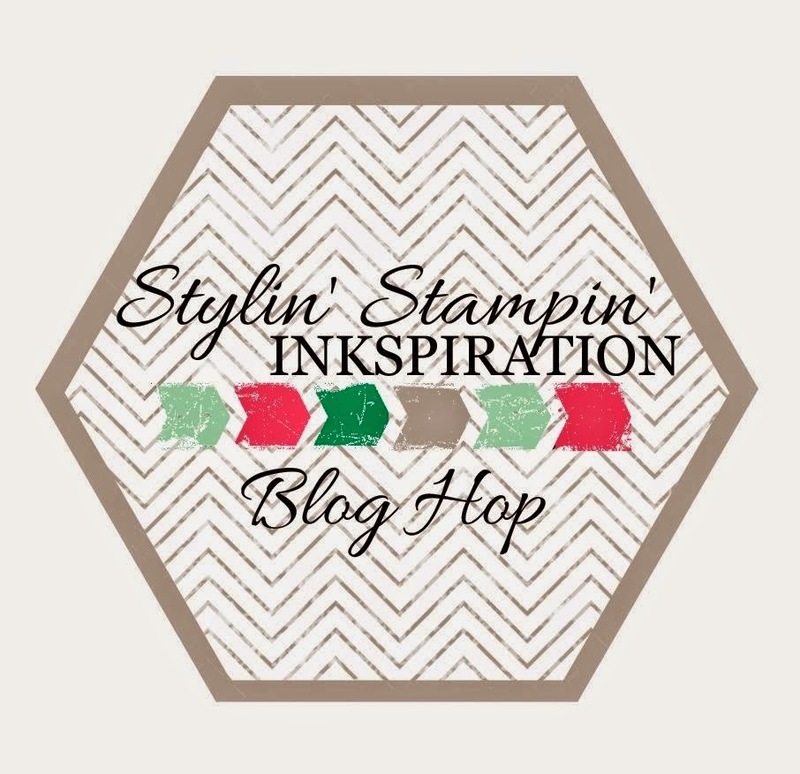 Time to get our Blog Hop on over at Stylin' Stampin' INKspiration. This month we are focusing on "flowers". Just in time too, cause I think by now, we are all a little but sick of the snow and are ready for some warmer weather and the signs of Spring to come and what better sign, than those little pretty flowers starting to come up out of the ground. As you hop along, please be sure to comment and show some love on every blog! We are always excited to hear from our followers! You should have just left stop number #8 on the Stylin' Stampin' INKspiration Blog Hop -Dj's Stampin Place . If so, you are in the right spot. If a link doesn't work or you get off track, you will find the full blog hop lineup below. 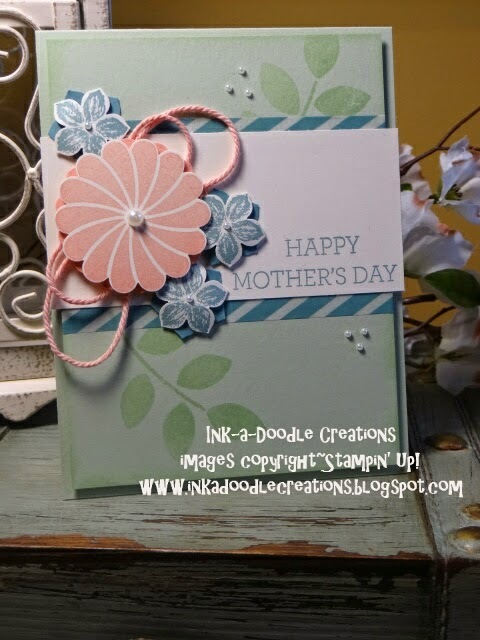 I created this pretty Mother's Day card using the Crazy About You and the Petite Petals stamp sets. Both are a cute accent to each other. And you can't have a Mother's day card, without some added pearls. I wanted to use soft shades, so I went with the colors of: crisp cantaloupe, lost lagoon and pistachio pudding. I hope you have enjoyed my Mother's Day flower card. Leave some "love" and head on over to our last stop on the Hop with Carrie at Carrie Stamps. Cynthia at Ink-A-Doodle Creations .......you are HERE! This is such a beautiful card and the twine is such a perfect accent along with those pearls! LOVE this card. I LOVE these colors together and I love this stamp set. Very pretty. Such a pretty card! All the colors work so well together and I love that you're getting a head start for Mother's Day. I will definitely be CASEing this! What a soft and pretty card, great color combo for spring.